3) Rubicon ‘Soup Bowl’ Action! 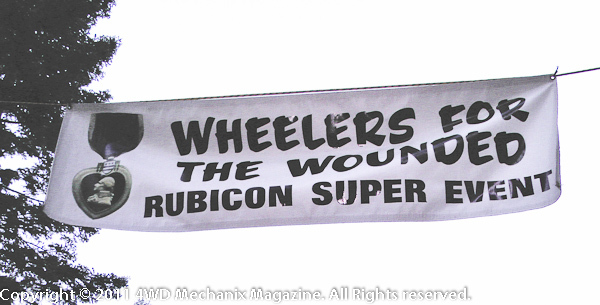 The 2011 Wheelers for the Wounded Super Rubicon Event kicked off with an evening of social mixing around the campfire. 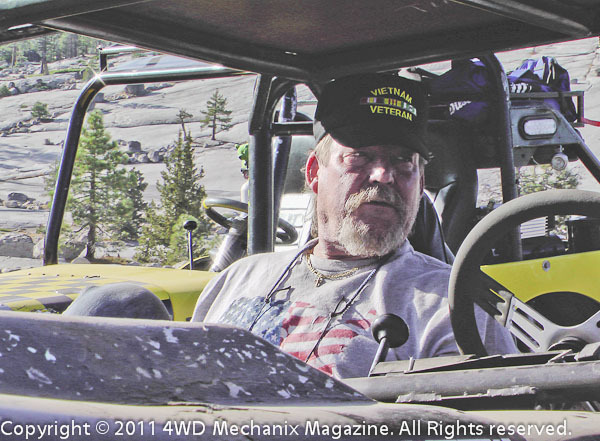 Nineteen vets and a complement of veteran volunteer four-wheel drivers gathered near the Rubicon Trail, staging for a rugged day of trail running. 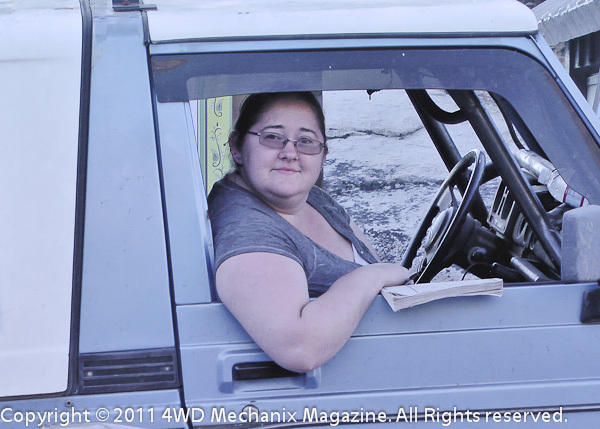 For the third year running, organizers Dan Hiney and Kevin Carey enlisted the support of sponsors and dedicated four-wheelers from the Rockheads, NorCal and the Pirates of the Rubicon. 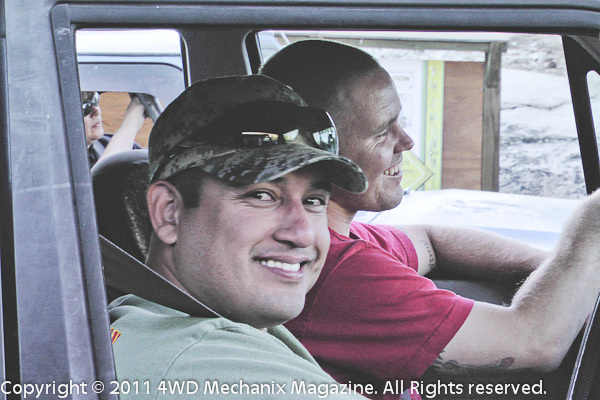 Relying on the 4WD trail skills of these drivers, the WFTW program takes U.S. veterans, many with service-related disabilities, over one of the roughest 4WD trails on the planet. The impact of this experience can be profound. 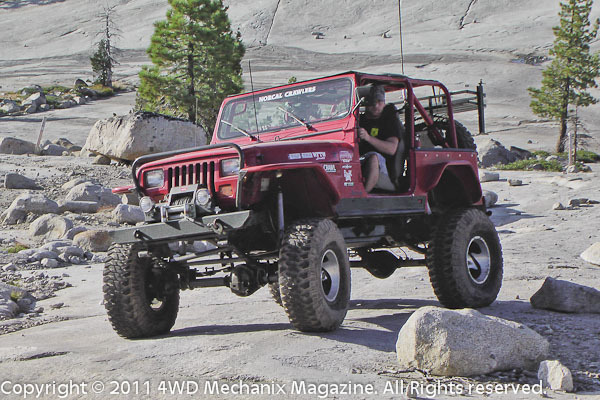 Many vets have returned to enjoy the cameraderie, trail sights, challenges of the Rubicon and the Sierra camping revelry. Covering the WFTW Rubicon Super Event has become a terrific opportunity to share a campfire with these exceptional vets and volunteers. 2011 marks my second year of sharing a trail with these folks. It was my privilege to serve as this year’s videographer, one way to share my gratitude and respect for those who have “laced up their boots” and willingly sacrificed on this nation’s behalf! 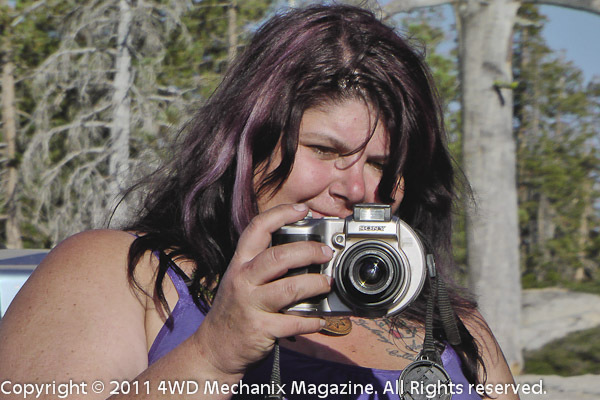 For the 2011 WFTW Rubicon Super Event, 4WD Mechanix Magazine has stepped up the video coverage to Panasonic High Definition. Explore this section and enjoy the HD videos covering the event!